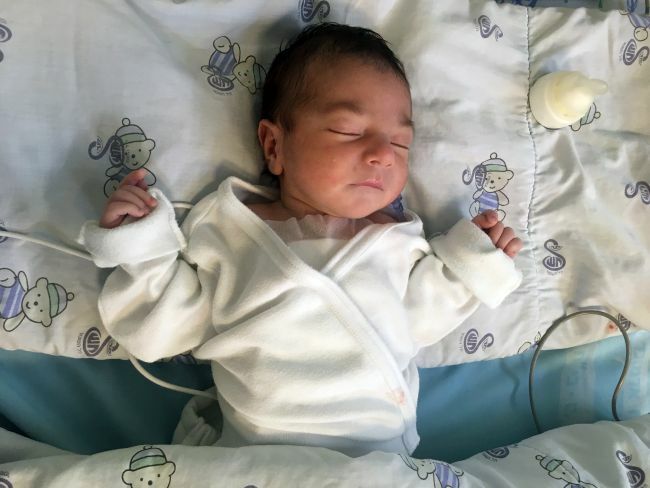 Looking at Mohammed, you can hardly imagine that this child came urgently only six days ago. After his arrival per ambulance on Tuesday, when he only was a tiny three days old, and his quick surgery on Wednesday, only five more days have passed. But already he is in secondary ICU, freed from any chest tube and breathing completely on his own. The surgeons were able to do the full switch of his great arteries and also fix other problems he had. He is only nine days old now, but he is looking even stronger than I expected children to look at his age. What a reason to praise God! He has done an amazing healing work in this little boy’s life. We pray for his family, as his mother had to let her son go so quickly after she gave birth. And we also pray for his two brothers and his sister, that they will cuddle and carry him really soon. And we also pray for his father, as he tries to provide for this family. May they find rest and peace in God.